The island remained Spanish until the Dutch conquest of 1634. In the 17th century, the Dutch became leaders in the international slave trade. Africans were enslaved from their homeland and transported to Brazil and Curaçao — where they were sold to wealthy plantation owners from across the Americas. At that time, Curaçao was one of the largest slave depots in the Caribbean.Today, however, the slave site is home to the Kura Hulanda museum, a remarkable exhibition on the horrors of the transatlantic African slave trade. From the end of the 17th century to the beginning of the 19th century, there was a good deal of trading places between the British and the Dutch, with the French also trying to take over the island. The French came close to succeeding, but left after extorting a healthy ransom. In 1815, the Dutch regained control of Curaçao, which had been in British hands since 1807. It wasn’t until the 1920’s and 1930’s that the largest influx of worldwide immigrants came and turned the island into the multicultural melting pot that it is. The “colonial” status of Curaçao and the other islands of the Dutch Antilles changed in 1954, when the islands became completely self-governing within the Kingdom of the Netherlands. Today, Curaçao is a commonwealth of the Netherlands Antilles. Curaçao is located in the southwestern Caribbean. The largest of the Netherlands Antilles, it is 38 miles long and from 2 to 7.5 miles wide. It is located just 35 miles north of Venezuela, 42 miles east of Aruba and only 2 1/2 hours by air from Miami. Curaçao is outside the hurricane belt, making it a sure holiday destination for good weather. 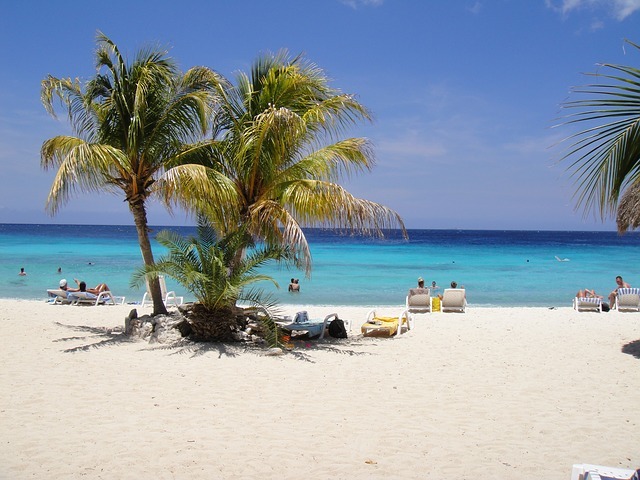 The first of the tourist attractions in Curacao likely to come to mind are beaches. This is an island in the Caribbean, after all. There are close to 40 beaches that are primarily located along the island’s western coastline, beginning at the northern tip with Playa Kalki Beach known for its superb snorkeling and scuba diving, and ending down around Sea Aquarium Beach known for its many beach bars, nightlife, and the respected Curacao Sea Aquarium. Few of the beaches offer those endless stretches of pristine white sand that you might expect. They are generally smaller and some have pebbly patches. But they are beautiful, and many are quite secluded. You can even take an excursion to Klein Curacao, a tiny uninhabited island of the southern tip of the main island that has endless stretches of pristine sands. Since so many of the tourist attractions in Curacao involve the beautiful Caribbean Sea, fishing is something that comes naturally to the local people who provide expertise for anglers from around the world. The deep sea fish that can be found in these waters include marlin and tarpon, sailfish and barracuda, tuna, shark, wahoo, and many others. There are two international fishing tournaments (for marlin and tarpon) that draw anglers from around the world and are important annual island events. Divers and snorkelers never seem to be able to stop talking about the beauty of Curaçao’s underwater world. Let us assure you this is with good reason. We like to think there is no place in the world offering such great shore dives or opportunities to enjoy the beauty of sea’s nature while snorkeling. Curacao snorkeling and diving encompass 40 different dive areas, which cover 65 individual sites. Whether you are comfortably settled on a beach chair, strolling along the picturesque waterfront, or trekking intrepidly through the underbrush, you’re certain to come into contact with beautiful Curaçao birds. More than 168 bird species have been registered on Curaçao. At least 51 of these species are breeding birds, 71 are migrants from North America, 19 are visitors from South America, and 19 are seabirds. The most common of the native birds include the Trupial, a black bird with a bright orange underbelly and white swatches on its wings, and the Cuchubi, the Caribbean mocking bird. Some of the best dining in Curacao is found in little roadside kiosks serving Curacao food that is similar to the fare found throughout the Caribbean, unpretentious barbecue spots and seaside seafood shacks. Typical Caribbean specialties include the fruits found on most of the islands: papayas and bananas, mangos and coconuts, plantains, pumpkins, and avocados. Staples found on many restaurant tables include beans, okra, potatoes, boniato, cassava, and hot peppers. Be sure to try some Kadushi soup, made from the native cactus that is one agricultural product and Curacao food not in short supply. Seafood that is plentiful includes mahi mahi, grouper, kingfish, and snapper. While seafood shacks along the beaches are excellent and cheap, food from these is primarily fried. Located in the tropics, just 12° north of the Equator — and outside of the hurricane belt — Curaçao has a warm, sunny climate year round. The average temperature is about 27° C ( mid 80s F). Refreshing trade winds blow constantly from the east, picking up in the spring months. The rainy season, October to February, is marked by short, occasional showers, usually at night, and continued sunny weather by day. Total annual rainfall averages only 570 mm (22 inches). Occasionally a tropical storm brewing elsewhere in the Caribbean can cause uncharacteristically cloudy weather for a day or two. U.S. currency is accepted everywhere, as are Travelers Checks and most major Credit Cards. Debit Cards are accepted at large shops and supermarkets. Prices are quoted in the national currency, the Netherlands Antillean guilder (also called the florin), abbreviated NAFl. or ANG. It is pegged to the US dollar at a stable rate of US$ 1 = NAFl. 1.77 for cash, 1.78 for traveler’s checks. Exchange rates may vary slightly at stores and hotels. Bills of US$50 and US$100 can be hard to cash. The larger denominations of guilder bills (100 and 250) are hard to cash for small purchases. There are currently two versions of guilder coins in circulation. The old square nickel and the newer square fifty cent piece are among the few square coins in the world; along with the 21/2 guilder coin they are popular souvenirs, particularly for children. There is no black market and there are no restrictions on how much money you can bring into the country. Citizens of the United States, Canada, Europe and Japan can travel to Curacao for stays of up to three months without a visa. The same rule applies to selected Central and South American, Asian and African countries. Visitors from other countries, including most countries in the Middle East and Central Asia, require a visa to enter Curacao. To see a list of countries whose citizens require a visa, visit the Curacao Tourism Board website.